In just three hours (6:05 p.m. to 9:05 p.m. CST, September 25, 2013), we've raised over $9000 including a donation for $5000 early on. Thank you for your amazing and fast response and support! We will contact the family tomorrow and put a check in the mail immediately. YOU CAN STILL HELP hundreds of other wounded heroes and their families. If you would still like to make a contribution to support these fine men and women, please donate to Purple Heart Hero Support (PHHS), an outreach program of MarineParents.com, Inc., where over 94% of your donation goes to program use! Click here to donate to PHHS. We're holding a fundraiser to collect $5,000 for immediate relief for a San Diego-area Marine Corps family with a critically ill daughter. Their 4-year old daughter is in hospice for the duration of what has been a long and challenging medical battle for her. The family's medical expenses are mounting while Tri-Care denies the claims. The family has garnered the support of an attorney, but they have some immediate financial needs that must be met. This information has been verified by appropriate personnel. The family needs your support. Our goal is to present a check to the family by October 5. 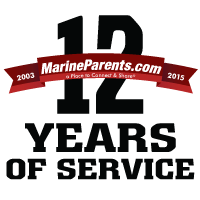 Please make your donation TODAY to MarineParents.com, Inc., an IRS approved 501(c)(3) public charity. You will receive a receipt and we will update you on the family's situation when we meet our goal. Thank you. You can make your donation using our secure online interface and your credit card or debit card. We accept Mastercard, Visa, American Express and Discover. 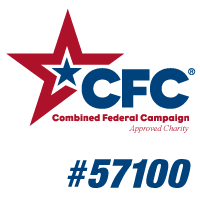 NOTE: To make your donation by phone or US Mail, see information to the right. This is your desired donation in US Dollars. Step 2: Your Mailing Address for Receipt. Mailing Address: Please enter the mailing address to send the receipt for your donation. This is also the address we will provide to the family. We recommend using Microsoft Internet Explorer as a browser to make your donation. Firefox and Mozilla may not work correctly. via US Mail or Email.